The world of recruitment moves quickly. As the job market changes, recruiters need to keep up with the pace of an ever-evolving marketplace. The world of work is constantly evolving, types of jobs that exist now, didn’t a few short years ago; new skill sets are created and required on a seemingly daily basis. In this new, dynamic world, is it possible for the old school methods of recruitment to survive? Or do recruiters need to change their game plan, embracing the possibilities created by this new environment? Defining the point at which you are as a recruiter isn’t easy, and there is some debate as to whether it matters. Recruitment is recruitment however, it’s done. But think of hiring 3.0 as an evolution in hiring. Whereas the old methods involved only waiting for candidates to come to you, Recruitment 3.0 sees you actively seeking them out. As the recruiting landscape changes, recruitment (3.0) recognises that methods need to change with them. In the old days of recruitment, recruiters were candidate led to a certain extent. That is to say; recruiters were reliant on the market of active job seekers. You posted your job, and you waited for applications. You collected resumes and trawled through them looking for the right fit. All of which missed the big picture: the best candidates probably already have a job, these “passive job seekers” are fine where they are. Research estimates that, at any given time, only 10% of those with the relevant skill sets and experience are actively seeking employment. Recruitment (3.0) looks at the remaining 90% and thinks “what if”? It seems a reasonable supposition that amongst that 90% will be stronger candidates than exist amongst the actively looking 10%. This is a simple numbers game: the odds are stacked heavily for the 90%. But it’s also an indicator of a simple fact: they’ve already impressed someone enough to get a job. By the very virtue of being in employment, they’re proving that they’re desirable candidates. Recruitment 3.0 is, in essence, about reaching out to these people. We are working in a market that’s candidate deficient. Simon Lance, head of Hays recruitment in China says “Talent shortage is a global problem”. Across a wide range of sectors, there is a lack of skills. Add to that the fact that best candidates are typically working at a high level and achieving promotion to levels which remove them from the marketplace and competition becomes fierce. There’s also a problem with de-skilling. A boom in further education numbers has inevitably led to a watering-down of the quality of degrees. There are an increasing number of graduates out there than ever before, the extensive amount of students is set to double by 2025 to 262 million. 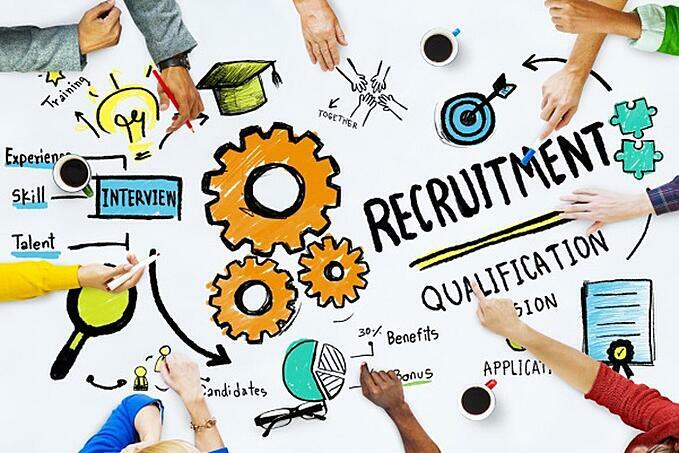 This may seem counterintuitive – surely it deepens and broadens the talent pool, but in point of fact this simply makes the recruiter’s job harder. A recruiter should be looking for the best, and it’s harder to find them amongst a larger mass of lower-skilled people. Thus the underlying assumption of recruitment (3.0) is that it is up to the recruiter to create candidates, it’s not enough to wait for them to come to you. We live in a world where the highly skilled are more mobile than ever before. Your perfect candidate could be anywhere in the world; they might even be in an entirely different sector. It’s about creating an attractive prospect, about making people actively want to come to you. Above all, it’s about communication, raising awareness, making people understand that the opportunity is there. It’s vital to engage people on a personal level, to attract the best candidates. We’re all familiar with the term “Corporate brand”, and old methods of recruitment would rely on a company’s name and reputation alone to secure applications, regardless of how good they were to work for, that simply won’t do anymore. Your employment brand is your company ethos; it’s your values and, crucially, it acknowledges that people feel an emotional attachment to their jobs. It’s about making people like where they work. It is an acknowledgement of the old truism that happy workers do a better job. But it goes further than that: happy workers make other potential candidates think “that could be the place for me.” Building a strong employment brand should put the recruiter front and centre, beating the drum for the company, reaching out to people and saying “look what a great place to work this is”. Reaching out and building the profile of your employment brand is an essential tool for attracting the best candidates. Even if people don’t want to work for you, a good employment brand can lead to them becoming “Brand ambassadors” passing on the good news about your company to others that might. This, if anything, is the defining principle of recruitment (3.0), and what sets it apart from the old methods. It is recognising that you’re not just dealing with candidates, you’re dealing with people. And a person is not merely what is down on their resume. They are a mass of ideal's, desires, preferences and ethics. They want to communicate; they want to talk. Recruitment 3.0 recognises that engagement is essential. It admits that Social media means that people talk more now than ever before. It means that word of mouth is now a global rather than local tool and that a robust and engaged social media presence, which interacts with people rather than just stating, is vital for attracting the best talent. Note the word “engaged”, because that word is the heart of everything recruitment 3.0 represents. It’s an acknowledgement that hiring’s a two-way street and that if companies want to attract the very best, then they have to be prepared to go and find them. The days of waiting for people to come to you are dead.